We have a proto. Some changes will be made as far as some more rounding of corners and tweaking here and there for a slightly sleeker look. The handle was also intended to be .750” stock but I only had .625” on hand. The production version would be anodized black and I have an idea to add some grip as well. The ergonomics work for me but could be tweaked as I let others with different sized hands check it out. The switch is easily reached with my thumb. Edit: My intention is for this batch to still be for CONUS as I have no experience with international shipping. However if there is enough interest and the shipping fees aren’t outrageous something may be able to be worked out. Anyway… here’s some pictures for you. I’m interested to see what you come up with. The GT already weighs a bunch, and I've yet to receive mine. Once I get one sitting on my desk, then my thoughts will kick in gear. Tag for your further input, OP. Would love to see protos! Get some prototypes or 3D renders and I might be interested. I’m with the others, more details will help, but you’ve got me interested. I’m interested… I’d guess as more people start receiving their GT lights interest could increase. Nice! I’m looking forward to learning more about your idea. Will your handle resemble this style? I posted my findings about those offered by several manufacturers, but none are the proper size for the GT’s tube diameter. Could your design incorporate a ‘quick-release’ attachment to make it removable without tools? The GT’s center of mass is at the switch. Will your design account for this? Good luck with your design process and keep us posted! My current plan is to use the tripod mounting hole as the attachment point so the balance should work out pretty well. I won’t have much else in the way of details until I start cutting metal. Interested in 2 if I like the design. I’ve also gotten approval that a batch of 50 would be acceptable. However, more would be better (cheaper) for the customer. I’m definitely in for one. I wish we had discussed a handle to be included with the GT from the beginning. This thing is huge! I think as more and more folks get ahold of these things and find out how freakin’ huge they really are, a lot of us are going to be looking for something like what you’re talking about here. But to really get much attention you’re going to need something for folks to see. A physical prototype would be ideal, but at the minimum you need some sort of render or sketch before too many folks are going to be getting in line. I hope you work it out though. I think as more and more folks get ahold of these things and find out how freakin’ huge they really are, more and more folks are going to be looking for something like what you’re talking about here. But to really get much attention you’re going to need something for folks to see. A physical prototype would be ideal, but at the minimum you need some sort of render or sketch before too many folks are going to be getting in line. I hope you work it out though. By this time tomorrow you’ll have pictures of the real thing attached to the light. Eagerly awaiting your prototype. Interested. More pics to come later tonight. When you post the pics, are you OK with us being 100% honest with our opinions? I’m not thin skinned my friend. No worries. Just be warned, I may be 100% honest back… LOL. More pictures of the handle, than the light please. Ok, I’m in the UK and can’t / won’t be buying one, but I have some suggestion if that’s ok? 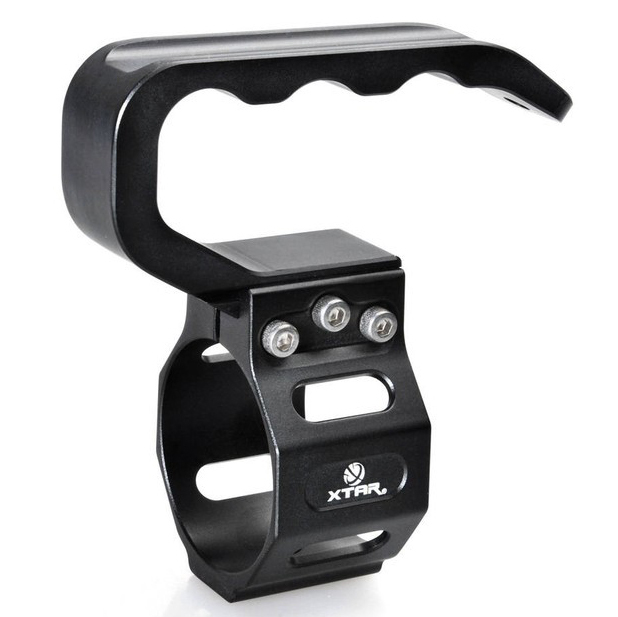 For the handle, how about making it so that a mtb handlebar grip would fit on it? then it could be chosen by the new owner and would be unique – they are mega cheap too,come in leather, rubber, gel, foam etc etc. Would also be good for colder climates. Maybe even get them anodised if it wasn’t massive hassle? Being an engineer I guess you may know a ‘plater’ anyway? No offence ,just being 100% honest , I don’t like it , it looks odd ,it looks like something found at the back of the shed & it’s just makeshift until a proper one can be made. 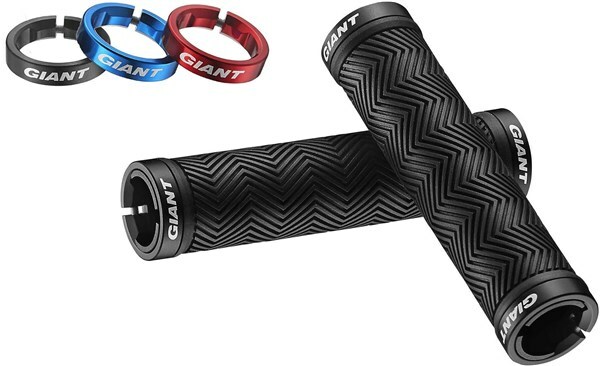 Aren’t MTB grips sold as a pair? Now, I’ll have to buy a 2nd GT to go with the 2nd grip. Maybe I missed something, but I can’t see how it actually attaches. Is there a shot of the handle without the light that I missed? The handle attaches with a 1/4-20 socket head cap screw via the tripod mount hole.